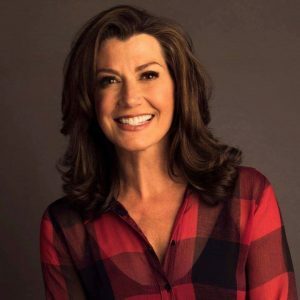 Home » Articles » Music » The Amy Grant Experience Comes to Music Hall! The Amy Grant Experience Comes to Music Hall! Six-time Grammy-winning pop legend Amy Grant returns to the Cincinnati Pops stage! Witness the Amy Grant magic this Sunday Feb 10 at Music Hall (1241 Elm Street Cincinnati). The show will begin at 7 p.m.
Join Amy for a selection of her favorite love songs, songs of faith, and her biggest hits including Every Heartbeat, That’s What Love is For and Baby, Baby. Sit back and indulge in this sure-to-sell-out and inclusive offering to love, kinship and peace–just in time for Valentine’s Day. Purchase your tickets today, at http://cincinnatisymphony.org/concerts-plus-events/pops/1819-pops/amy-grant/!